Fantastic WATERFRONT on desirable Leadmine Pond!! This sun-filled, Contemporary home has a modern, open floor plan with vaulted ceilings and a commanding view, 150' of spectacular water frontage! 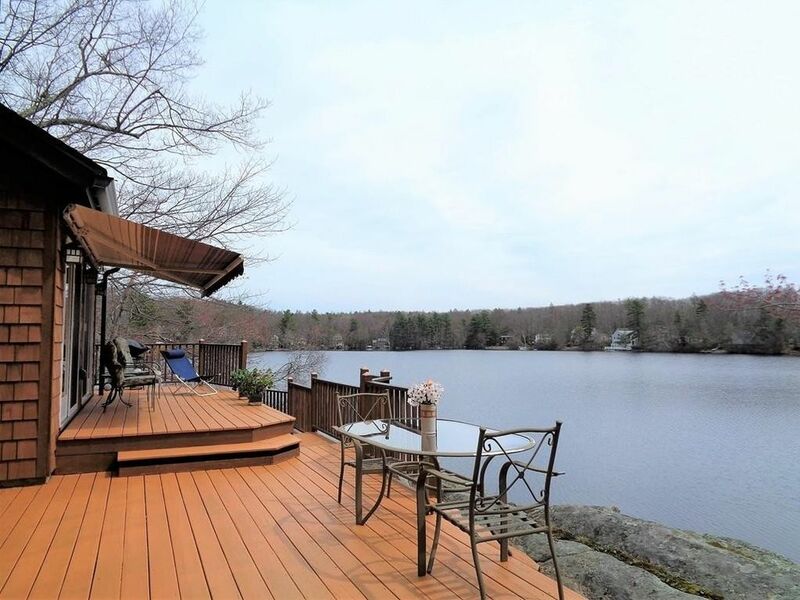 Spacious entertaining decks lead to a new cedar dock, perfect for swimming! Many updates including a new 50 yr Timberline roof with a transferable warranty and skylights in 2015, pressure treated wood decks and Sunsetter awning in 2012, two Anderson sliders and front siding replaced in 2016. NRG solar panels installed in 2015 with a 20 yr lease, a very low electric bill of only $51.20 per month! There is also a woodstove hookup in the basement, if wood heat is desired. Leadmine Pond is a 53 acre, clean, spring fed pond with an average depth between 20-30', a maximum depth of 46', a motor limit and no jet ski's are allowed. Great for fishing, swimming, kayaking, small boats, pontoon boats & sailboats. This serene, get-away gem is conveniently located only 5 min from the MA Pike & Rt 84! !